Copenhagen is in the top 5 of the hippest places on Earth according to Thrillist’s list. Ovation Denmark DMC has developed a new group activity for incentive groups in the cool areas of Copenhagen, Vesterbro & Nørrebro. The program can be handled even for larger groups, but they will be split in smaller groups of 10 persons in order to get a better feeling of Copenhagen. The groups will get a map or an iPad and have a route to follow with various tasks en route on foot. 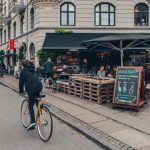 Visit the cool part of Copenhagen on a treasure hunt in the Meat packing district of Copenhagen and new designer area of Nørrebro. Visit shops like Henrik Vibskov, Wood Wood and Acne Studios. 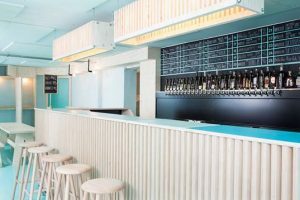 Stop at a local microbrewery Nørrebro Bryghus or Kihoskh with tastings of their special brews. Try the local delicacies at Kokkenes Torvehal and stroll along the Sønder Boulevard and Queen Louise’s Bridge for photo opportunities. The iPad solution offers great interaction by adding various fun and educational tasks en route. Tasks like creating a team name, a song, creative picture taking, various questions and get relevant information. In the Meatpacking District we finish with coffee at Café Dyrehaven, one of the many top-rated coffee shops in Copenhagen. The group gather at the cool Scandic Meatpacking Hotel were the teams present their findings. The winners are named and will get a Copenhagen Hipster Beard (or similar)! Teams can continue with (meat) lunch or use the “meating” facilities for further activities. The program can be tailor-made to suit the company or Conference purpose.